Radiotherapy is a less than ideal cancer therapy for people with Li Fraumeni Syndrome as it represents an increased risk of subsequent cancers due to the treatment itself. In many cases there is no alternative and in such cases it is more important to get rid of the current cancer than worrying about a future one. However, in some cases there are alternative treatments which theoretically present a lower risk of causing future cancers. These treatments are sometimes called ‘local therapies’ as they are used to target specific tumours rather than being ‘systemic’ like chemotherapy. There are a variety of these local treatments in use for different cancers, and of course availability varies by location (even within the UK). The following is a listing of some of these treatment options and a description of how they work. It is recommended that you have a discussion with your oncology team if you think that one or more of these treatments might be suitable for you or a member of your family. Also known as TACE – transcatheter arterial chemo embolization – this therapy involves injecting chemotherapy drugs directly into the tumour through the main blood vessel feeding it. The blood supply to the tumour is deliberately blocked (embolized), the cancer drugs are trapped at the site and the tumour is deprived of oxygen and nutrients. As a result, a high level of the treatment drug reaches the tumour with fewer side effects on the rest of the body. Chemoembolization is widely used and well-documented in the treatment of primary liver cancer, as well as liver metastases from other primary malignancies. It can be repeated and is often combined with radio-frequency/microwave ablation. It has also been used in the treatment of ocular melanoma (eye cancer), neuroendocrine tumours, sarcoma, cholangiocarcinoma (bile duct cancer) and metastatic colon carcinoma. In the treatment of cancer, photodynamic therapy is the use of light and drugs to kill cancer cells. A photosensitising agent is injected into and is absorbed by cells. It stays in cancer cells longer. After 24 – 72 hours the tumour is exposed to light. The photosensitiser then present in the tumour absorbs the light and produces active oxygen to destroy the tumour. It may also activate the immune system to attack tumour cells. This involves taking cells from the body and treating them with photosensitiser, exposing them to light and then returning them to the body. It is used particularly for T-cell lymphoma, as well as oesophageal and non-small cell lung cancer. It can only be used to treat tumours on or just under the skin or on the lining of organs or cavities. It is most effective on small tumours as light cannot travel very far. Proton beam therapy is a targeted form of radiotherapy which destroys tumours by using the energy released by protons when they stop. This means that most of the energy goes into the cancerous cells rather than the surrounding tissue and allows a higher dose of radiation to be directed at the tumour. At present, proton beam therapy is only used in the UK to treat cancer of the eye but it can be used for tumours in the lungs liver, prostate, spinal cord and some children’s cancers. Two proton beam therapy centres are under construction in the UK, in London and Manchester. The first patients will be treated from 2018. Currently the NHS pays for treatment abroad for patients not suffering from eye cancer. In a medical context ablation means the removal of body tissue. The following procedures are all similar in their use of heat energy to destroy or reduce cancerous tumours and are known as thermoablative therapies. Ablation is often used with chemotherapy and surgery, or alone in cases where patients are unfit for surgery. The use of ablation has increased rapidly since the 1990s because of the advance in imaging techniques such as CT scans and ultrasound. The therapy used for each patient is determined mainly by the size of the tumour and the availability of the required equipment and expertise. The needle or probe used in all the procedures only leaves a small wound in the skin, and no stitches are required. Cryoablation uses extremely cold argon gas directed through a needle into the tumour. It is usually carried out under general anaesthetic, but is a short procedure, typically taking 15-30 minutes. Cryoablation, sometimes also called cryosurgery or crytotherapy, is used for a range of cancers, including small tumours in the prostate, lungs, liver and kidneys. Microwave ablation (MWA) uses electromagnetic waves at a frequency of between 300MHz and 300GHz to heat tissue and treat tumours. It is used mainly in the treatment of liver cancer and lung cancer, both primary and secondary, but can also be used for bowel and other cancers. It is normally used in patients who are unable to have surgery. The heat generated by the microwave energy destroys tumour cells. The procedure is carried out under either local or general anaesthetic, using a probe or probes, depending on the size of the tumour. 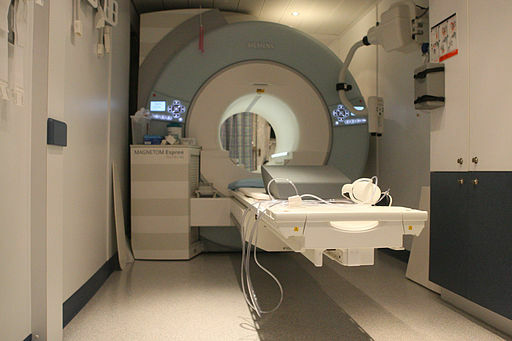 Imaging guidance such as a CT scan or ultrasound scan is used to position the probe and high frequency microwave energy ablates the tumour. It is possible to have more than one pulse of energy at each treatment session. The procedure typically takes between 30 and 60 minutes and tumours of up to 5cm can be treated. MWA appears to be a safe and well-tolerated procedure. Potential side-effects are pain and a high temperature. It is possible to treat larger tumours with MWA than other thermoablative therapies as well as tumours that are close to major arteries and veins. Radiofrequency Ablation (RFA) uses a heated needle-like probe to destroy tumour tissue. High energy radio waves are passed through the probe, heating up the tissue and destroying cancer cells. RFA can be used alone or in conjunction with surgery, chemotherapy or radiotherapy. It is most commonly used in the treatment of breast, bone, lung, kidney and liver cancers. The risk of complications is low. Laser ablation is also known as photothermal therapy or laser interstitial therapy/photocoagulation. It can be used to burn small areas of precancerous cells or shrink or destroy tumours more precisely than MWA and RFA. However, it is really only useful on tumours smaller than 2cm. As with other thermoablative therapies, laser ablation can be combined with surgery, chemotherapy or radiotherapy. Its use has increased recently in the treatment of prostate cancer and brain tumours, following successful trials.